Beginners Sewing & Dressmaking is an 8-week course to teach you some foundation sewing skills. Then it includes an ideal introduction to Dressmaking – a pencil or A-line skirt using a commercial paper pattern. So kick-start your New Year by learning how to make your own clothes. Project 1: For experience measuring, cutting and sewing fabric, we’ll make a reversible tote bag. So this course is a good starting point to learn expert sewing techniques. Many novice sewists come unstuck when they launch into sewing with a garment project straightaway. Not only are they trying to learn how to use the machine and handle the fabric, but there’s the headache of fitting too. This Beginners Sewing & Dressmaking course will give you a gradual introduction to dressmaking. You will be able to practise sewing neat and accurate seams. 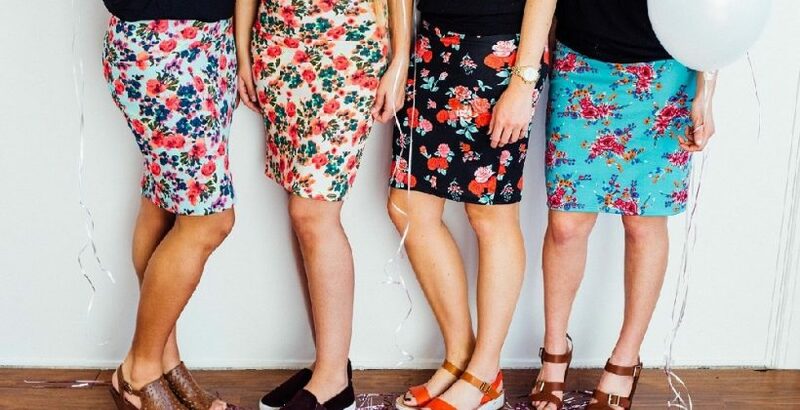 Then you’ll cut out and sew a mini-project before tackling your first skirt. I focus on teaching you professional tips and tricks so your skirt will have a professional-quality finish. My blog pages contain lots of informative articles about stuff you need to know when you start sewing. Why not spend a few minutes swotting up? Here’s a couple of links to start you off. Get to the point. How to choose the correct sewing needles. To have or have not. What sewing equipment you’ll need.